I'm on to Star Wars: Knights of the Old Republic now, mainly on the recommendation of a friend who tsk'd at me for playing SWTOR without having played the others and knowing the history. 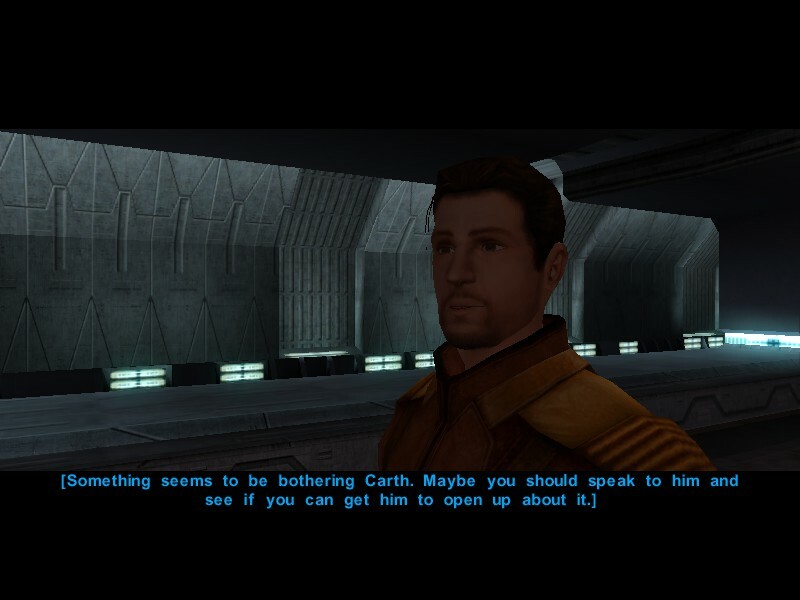 Not that you have to know KOTOR stuffs to understand what's going on in SWTOR, but they include a lot of lore, including a full quest dealing with followers of Revan. It's hard for me to play a game like this after playing something as beautiful as Mass Effect 3, but I know the story is powerful, so I endure. Even through the horrid combat system. But I'm sticking to it and have therefore, though I obviously haven't been able to release Bioware completely, I have, at least temporarily been able to break from the Dragon Age and Mass Effect obsessions. 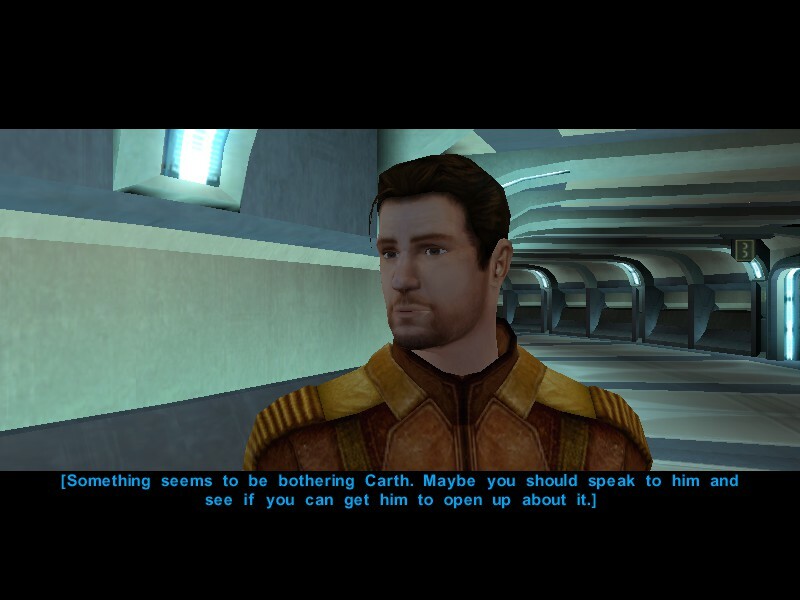 Until Carth Onasi decides to channel his inner Kaidan Alenko. Fortunately, I'm over his issues and his need to not trust me and yell at me. 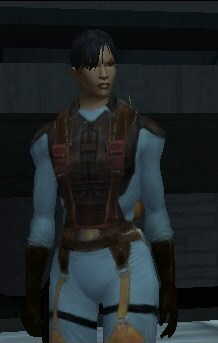 I've got Commander Shepard Bastila Shan for that. If there was one thing I took from SWTOR, it was that the Jedi aren't the wonderous and benevolent beings they pretend to be and the Empire might not be so bad after all. The Sith though, well, those kids are a bit crazy. I used to read the EU books, but all of them focused on the same old favourite characters up against a big bad and the good guys always saving the day. 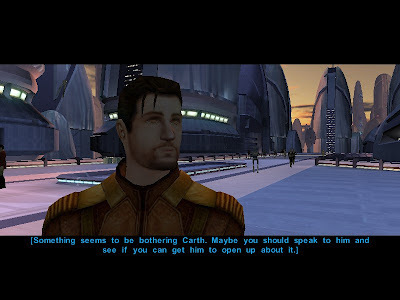 It appears that questioning the black and white standards George Lucas created long ago is something the video games have taken to heart and continue to do an excellent job with. I'm very focused on the main story because I just want the game over with. As I said, the graphics and combat are not at all appealing to me and make it difficult for me to progress. I am not being as thorough as I usually would be, so I'm sure I ultimately won't appreciate this game as much as I could, but it's still better than just wiki'ing it. I really want to get where I'm going and then move on to KOTOR2 and be reminded of how Bioware used to handle their sequels.